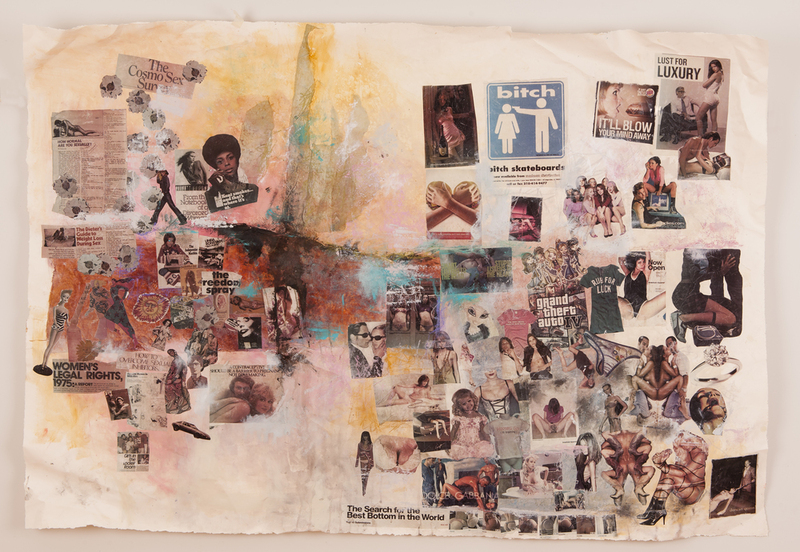 The visual collage serves as a visual narrative, a chronicle for examining women’s history and the history of advertising to American women. Looking at the far-reaching and untold history of women and the mass production of goods and the techniques that were used in selling these goods to women. An in-depth visual collage gives a glimpse shifts in behaviors, and aspirations of American Women the sequential history of American women through the twentieth century and the influences that advertising and mass media played in shaping the broader cultural shifts, roles, broader in behavior, values, social trends, civic concerns, work/professional aspirations, sexuality, norms and interests. Social force. Providing a script/visual narrative/ untold story of for expected behaviors. The question is who decided the script and who benefits? Given the role of the media in our society, we can say the massive shifts in behaviors and roles were at least transmitted via advertising and other media content having concrete social consequences. Mass media has a profound impact on the lives of women and how they define themselves and their place in society. They learn the script of expected behaviors and roles as consumers. Collaborator: Inger L. Stole Ph. D.
A professor at the University of Illinois at Urbana-Champaign, Department of Communication. She studies the history of consumer movements, present day consumer activism, and the institutional history of the advertising and the public relations industries in the U.S. Stole’s research explores the negotiated give and take between the citizen consumer and corporate power.